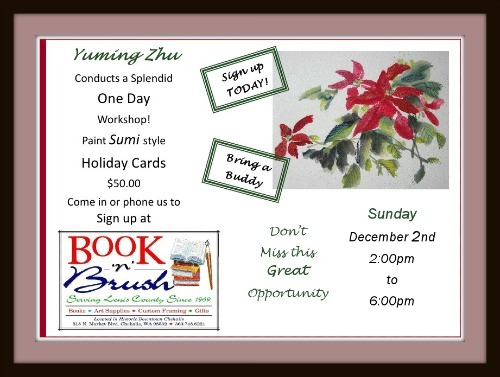 Occasionally, Book 'N' Brush offers workshops or limited-run classes. Here is a sample of previously offered sessions. If one of these piques your interest, do not hesitate to contact us. We keep a list of interested parties and when enough interest is generated we set about scheduling another class. Watercolor & Calligraphy: Technique Sampler Book Kristen Doty is hoping to offer this class again late spring or early summer. Stay tuned for more information!